Allergies seem to be on the increase and although many of these manifest as minor skin rashes or itching, they can affect your throat, sometimes very seriously. How Can An Allergy Affect Your Throat? There are many ways in which your throat can become affected by an allergen. This may include a simply irritation caused by mucous running from the back of your nose down your throat (known as a post-nasal drip), coughing which can cause a sore throat and an itchy throat all the way to difficultly in breathing, wheezing and feeling as though you are suffocating. What Sort Of Things May Pose A Risk? In most cases, the most likely allergens to pose a risk to health are food products especially those that include nuts; peanuts in particular. There are also some forms of insect stings and medications that have been known to cause a serious reaction but in general the types of things that cause reactions are very specific to the individual and may be unique. 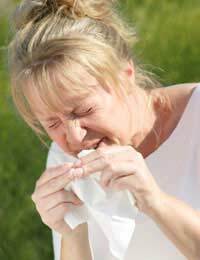 The most common forms of allergy that can affect your throat include pollen, animal fur, house dust and insect stings and bites. If at any time you feel as though your airway and breathing are affected, including if your lips and tongue don’t feel quite right or are starting to swell, it is essential that you seek urgent medical attention as soon as possible, as this may be a sign of an anaphylactic reaction. This form of reaction may simply present as tingling of the mouth or similar, but in a few cases it may be potentially lethal and require medication to prevent or reduce any swelling of the airways. This form of reaction can endanger life in a small number of cases so it is important to recognise the signs and know when to get help. Although it may not be possible to prevent all items affecting your throat, there are some occasions when people can try and protect themselves. Always read the ingredients of all items and products you use, especially if you are aware of a sensitivity or allergic reaction in the past. This does not just apply to food items, but also of many beauty products, lotions and medications too.When ingredients are listed as chemicals or code numbers, try and determine what these labels stand for so that you have as much knowledge as possible. If you have had an allergy in the past it may be possible to undergo an allergy test in which case you can gather more information on the types of products and ingredients that are likely to cause you a reaction. Ask your GP for more details. If your allergy is caused by pollen, smoke or maybe even an animal you may be able to reduce the effect on your health. Being prepared for allergic reactions is key in how much they are permitted to affect you in most cases. When you know the pollen count is likely to be high for example, you can make sure you take the recommended forms of medication before you are fully exposed to the allergen with the aim of giving it enough time to work before you are exposure. Allergies are very common and can affect the throat in different ways, ranging from a small irritation to being unable to breathe effectively. Each person will experience their allergy and how it affects their throat in a different way to others and some reactions will be minimal whilst others are very serious and may endanger life. Always make sure you understand your allergy and how to manage it effectively. @bonda - have you been to the doctors? The best thing is to sort the problem from the root cause; your stomach. If you go to the doctors they should provide you with some proton pump inhibitors which will stop the acid reflux which will in turn stop the throat ulcers. However, this is not a long term solution. Your diet plays a really important part in GERD too, so make sure you avoid highly acidic foods. Obvious ones are citrus fruits, apples, kiwi, grapes other under ripe fruits and tomatoes. Other contributors include chocolate but also carbonated drinks and too much caffeine. Alcohol is also a big cause of acid reflux with wine being highly acidic. Fried foods and high fat meat can also cause it. It's worth just cutting back on these things and opt for a bland diet while you have throat ulcers as you don't want to damage your oesophagus. If you want a short term solution then maybe something like a throat numbing cough sweet might work for when it is very painful. There are quite a GERD few diets online, so it's worth checking out. I hope this helps.